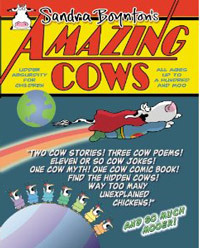 If you’ve read this blog over the past few months, or like to listen to or read wacky news, you know about Yvonne the runaway cow. Poor Yvonne escaped her farm last spring and roamed the forests of Bavaria for several months, until one day she decided she’d had enough of the wild life and rejoined a herd of domesticated cows. This cow escaped her farm near Milford, CT in July 2011 (wow, that’s three months on the run!) and since then, it’s been spotted many times around town but not caught. How a cow can survive this long among people and cars, and probably with no regular food supply, I’m not sure. But this one is running for its life! 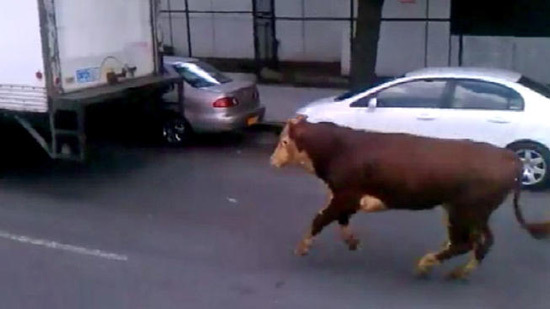 You can read the full article about this runaway cow on the NBC Connecticut news website. I hope this story has a happy ending, eventually. Some advertising rep at the news website must have had a lot of fun getting placement for this ad. 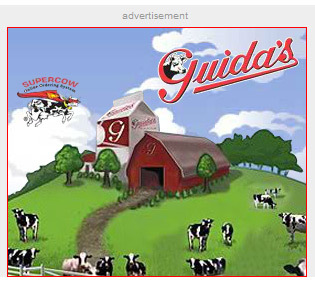 Hey, Guida’s, I have the perfect ad spot for you, give me a call back. 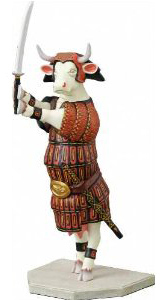 Supercow, meet runaway cow. That’s what I call a bull’s eye! I hope this one gets to have a happy ending when it gets caught.